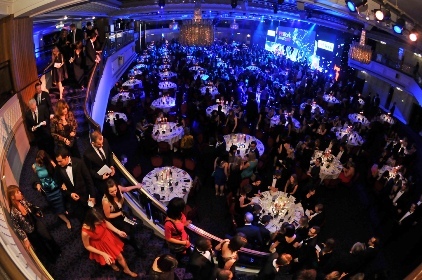 The PR industry may be nursing a few sore heads today after the great and the good of the comms world celebrated the PRWeek Awards 2012 with gusto at the Grosvenor House Hotel on Park Lane last night. Performing his role of PRWeek Awards presenter with suitable verve, Graham Norton called the job of a PR professional a ‘lonely’ one in which ‘the people you call don’t want to speak to you and the ones who call are the ones you don’t want to speak to’. Coe was invited by LOCOG’s comms chief Jackie Brock-Doyle, who was last night basking in the glow of not just her PR Professional of the Year Award, but a handmade Union Jack dress, comprising two polyester flags. The dress – and award – prompted a standing ovation from the audience and a ‘still flying the flag’ aside from the host. The EE comms posse of Stuart Jackson and Mat Sears were surely two of the last to go to bed. They held court until the early hours detailing their favourite gigs of all time – who would have thought Jackson was such a Stevie Wonder fan? However, the warm glow of happiness didn’t engulf the entire venue. Flack couldn’t help but notice one particular agency studiously ignoring a former client despite being, rather unfortunately, stationed on neighbouring tables.